The changing seasons give us unique tasks when maintaining our outdoor spaces. The spring and fall both create the need to clean up outside to prepare for the seasons ahead. This can be a big job for any size yard, but Hofmann offers a seasonal cleanup service to get your property back up and running. There are really only two times of the year that it makes sense to give your lawn a good cleanup, and they have different things that need to be done. The spring does the bulk of the work in making the outdoors beautiful all summer long, but your property could have been left messy from the winter. We will help remove fallen limbs that may have come down from the weight of snow or early rainfall and clear out anything that doesn’t belong. We can even prune trees and bushes to get them looking good before they bloom. You may also want to clean up any old mulch from your flower beds, remove old annual flowers, and maybe even have us remove an old pathway to make room for a new one. No matter what size your property is we can get it ready for spring and summer use. This season has different challenges, but a very similar solution. Once autumn hits it can seem like you rake or mulch more leaves than the trees around your property could have possibly had on them. We can get rid of your leaf problem as well as remove anything you don’t want around like the sludge from cleaning your gutters to unwanted foliage. We can also help winterize your lawn by seeding or aerating to go along with all of our other services. If there is something in your outdoor space that you want cleaned up; chances are we can help. You can even remove a lot of unwanted materials by using our haul off service. 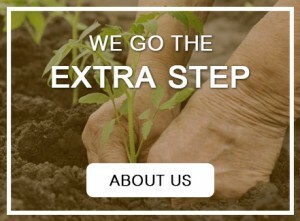 In no time at all our friendly team can have your yard ready for any season. Contact us today and let us know what your needs are and we will give you a free estimate.